Terrazzo is a material made up of chips of marble, glass or granite set in concrete or clay. 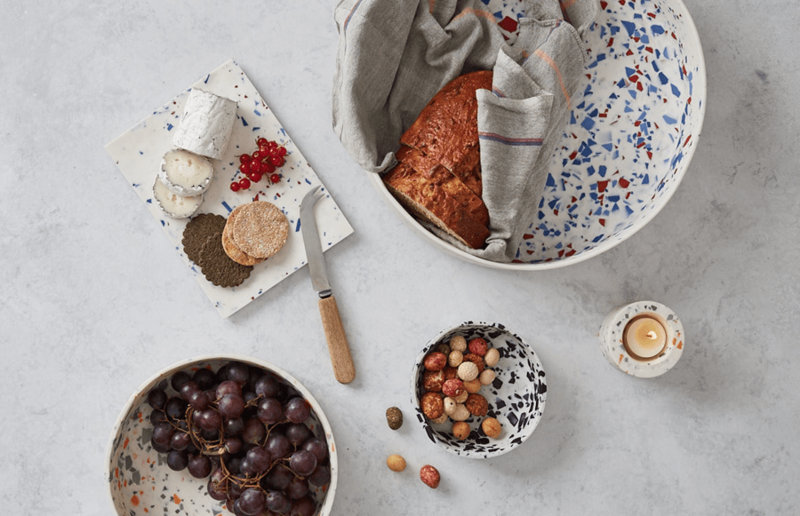 You’ve probably seen it in Italian restaurants or palazzos, but the style has now made its way into home wear including bowls, mugs and plates with designers experimenting with the material. It’s a growing trend, and one to look out for in 2017, with Sevak Zargarian a designer who is certainly turning heads with his work. 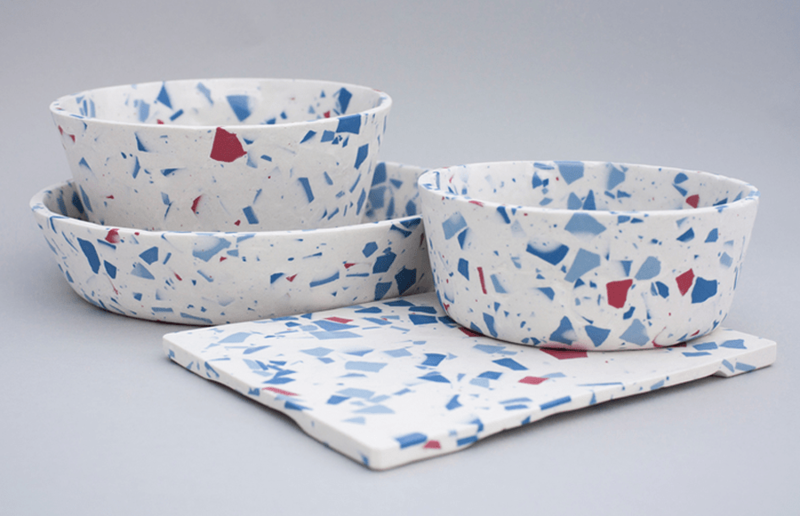 He’s a ceramic designer maker based in London and a graduate from the BA Ceramic Design course at Central Saint Martins. He has a passion for material exploration, ignited on a Foundation course where he experimented with copper rods and porcelain paper clay, witnessing the transformative powers of the kiln. Working from his garden studio at home, Zargarian has since kept a focus on process, investigating different surface finishes and making techniques, with an aim to create beautiful objects for the home, and has a gorgeous range. 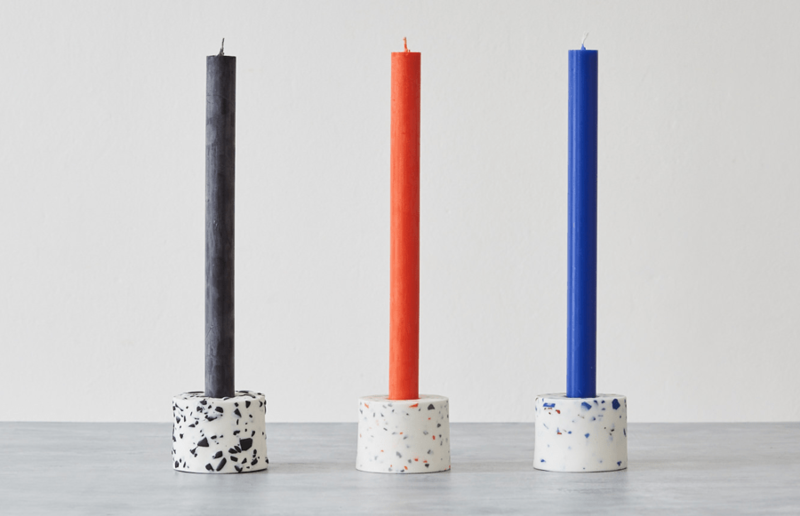 His work is currently being stocked at The Design Museum, The Maker Place and Barbican so you’re in good company. His Unearthed Interiors collection has a focus on interior products and accessories, handmade in Zargarian’s garden studio each piece has shards of parian, a type of porcelain that is likened to marble once polished, incorporated into the clay. Due to the casting process, the coloured shards are dispersed throughout the body of the piece in no controllable manner. Once fired in a kiln, the pieces are sanded down to ‘unearth’ the random pattern that’s a result of the process making no two surfaces the same. Fired once more to a higher temperature makes the parian self-glaze, sealing the surface of the clay and bringing out the true colour, with a final polish to make the objects tactile and smooth to the touch. Could marble be on the way out? The trend of using terrazzo is only growing, so expect to see it in kitchens, bathrooms and corridors soon! You can find out more about Sevak Zargarian and purchase his pieces via his website here.